When Lucky Luciano organized the first Commission of the American Mafia, the cities with representation were all large, heavily invested in the riches from Prohibition, and had a ready delivery system for the booze that came in, usually along waterways and docks controlled by gangs. Detroit, Buffalo, and Cleveland (although each currently seeing a decline in jobs and population) were heavily populated and had numbers rackets, union infiltration, loan sharking operations, and cargo hijacking on the docks that provided additional income to the families. Smaller cities were less profitable to manage, although not necessarily any less tough or less corrupt. The Reno connection was more important for individual gang members in the 1920’s and 1930’s and it wasn’t until later that the Chicago Outfit, the Detroit Partnership, and the New York Mob enjoyed a piece of the gambling in Reno. In the 1920s, Reno had its own Mob, a handful of men who controlled the gaming, speakeasies, prostitution (which was legal), loan sharking, and may have had a hand in opium and heroin distribution. Mob City is a rewritten and updated version of The Roots of Reno, but includes a shorter verse on Goldfield and Tonopah before taking the reader to Reno in the ’20s, filled with road gangs like Alvin Karpis, Ma Barker and her Boys, and “Baby Face” Nelson, and continues on to the fall of the Wingfield banks, the control of early casinos, and the eventual fall to Chicago, Detroit and New York. If you enjoyed Vegas and the Mob, this new book will fill you in on what was happening before Vegas was the Gaming Capital of the World. 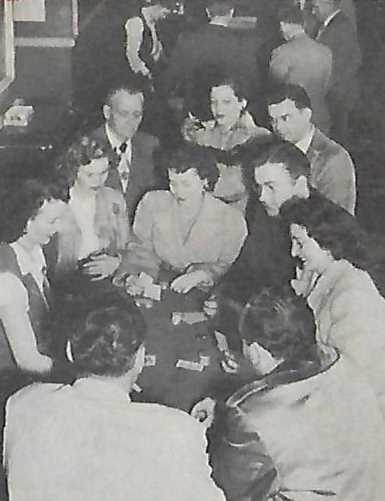 Wow, people used to actually get dressed up to visit the casinos in Las Vegas! This scene from the mid-’50’s may have been staged, but there were a lot more people going to a nice dinner and show back then. Of course, the dinner show to see Rose Marie, or Jimmy Durante, or Joe Brown, was an under-$10 affair. If you slipped the maître d‘ a couple bucks you got a nice seat. $5 put you up front where the singer or comic might just talk directly to you! When the Rat Pack was making headlines in the 50’s and early 60’s, you could count on seeing Frank Sinatra or Dean Martin for a reasonable price, and they often hung around with other stars after the show to have a cigarette and a couple shots. Of course, that’s when it was Vegas and the Mob! 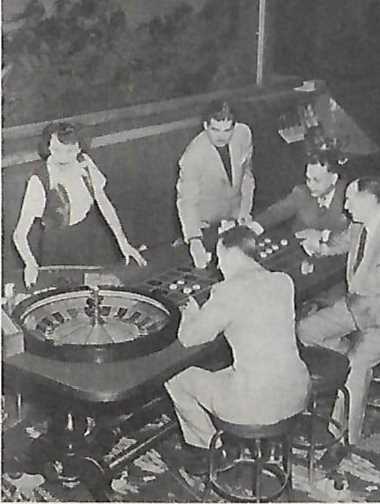 Life Magazine put the new club on its cover and touted the Moulin Rouge as the first racially integrated casino in Las Vegas, but the casino’s success was also its undoing. Profits were being siphoned from the count room, bills went unpaid, and casinos on the Strip like the Sands pushed their weekly entertainment budget to astronomical levels, paying some stars more than $100,000 a week. 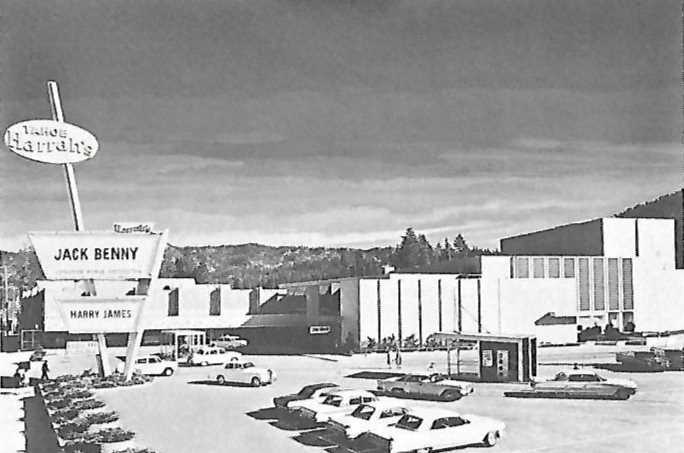 The Sands also slowly began allowing African American entertainers to enter using the front door of the property, and to even stay in some of the hotel bungalows. The change was quick and dramatic, and the Moulin Rouge closed just five months after it opened, but its impact was significant and within a few years all of the casinos in Las Vegas were fully integrated. Today, you don’t have to put on a coat and tie to enjoy the top stars playing at the Mirage, MGM, or the Luxor, but you can expect to pay $100 to see a big-name on the stage. That price doesn’t get you dinner anymore, but there are a lot more choices in town than there were 50 years ago. Enjoy!